Micheline Helsing is a tetrachromat-a girl who sees the auras of the undead in a prismatic spectrum. As one of the last descendants of the Van Helsing lineage, she has trained since childhood to destroy monsters both corporeal and spiritual: the corporeal undead go down by the bullet, the spiritual undead by the lens. With an analog SLR camera as her best weapon, Micheline exorcises ghosts by capturing their spiritual energy on film. She's aided by her crew: Oliver, a techno-whiz and the boy who developed her camera's technology; Jude, who can predict death; and Ryder, the boy Micheline has known and loved forever. 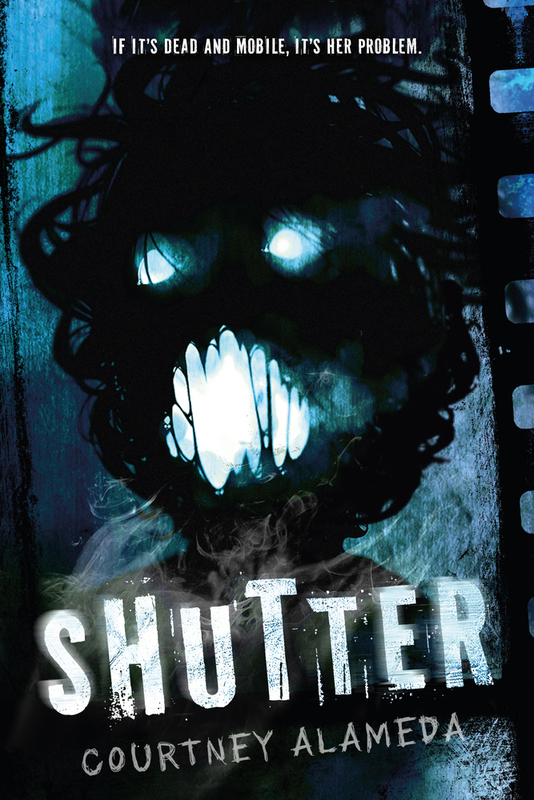 Shutter by Courtney Alameda is a thrilling horror story laced with an irresistible romance. CALL IT REAPER'S INSOMNIA, but the dead wouldn't let me sleep at night. Every time the sun went down, I swore I sensed them stirring, starving. Courtney Alameda is a veteran bookseller and librarian. She holds a degree in English Literature with an emphasis in Creative Writing from Brigham Young University. She lives in Salt Lake City, Utah.